Are you a native of Jupiter in house 12? Do you know the impact that has in your life and even in your personality? Come and find out. Those led by Jupiter in house 12 are people who believe in faith, which often brings them good fortune. Very prone to humanitarian and social work engagements, these are people who are always ready to help others, no matter the circumstances. 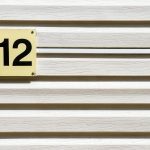 Jupiter in house 12: what does this mean for you? A very hopeful person, the native of Jupiter in House 12 tends to be very optimistic and connected to religion, so these are the means by which you demonstrate your faith in humanity, your hope for the future and your commitment to help mankind evolve and thrive. You are also a very selfless person, who believes in karma, meaning you believe that you get what you give to the Universe. But you need to pay attention to those around you, who might sometimes take advantage of your good will and good heart. Very communicative with your own beliefs and connected to what brings you peace, you, as a native of Jupiter in house 12, have the tendency to be highly spiritual and esoteric. Thus, you always feel protected by higher energies that do you well and that make you vibrate love and friendship to all those around you, transmitting happiness, detachment and generosity. This can also be a very nice way to guide your professional life, as you join what is needed to what is pleasant and really prosper by doing good and being useful to those who need it the most. You are very informal and you love to share and this is what you do constantly with friends, family and even strangers. For the new cycle, you, that are led by Jupiter in house 12, need to make a lot of effort to keep dedicating time to others without forgetting about yourself. As your success tends to be more timid and demure, you usually have good foundations and a strong conscience that without work nothing is accomplished. But sometimes you can also devalued and this is a feeling that cannot persist. What you need is to focus on your goals and positive energies around you so that everything works out from now on. This is the time to let yourself be carried away by the opportunities that will come to you. Do not hesitate to invest in these things, your time is now and you cannot feel small in the face of the great things that will happen. You deserve them. But beware of your blind faith in humanity and always listen to your sixth sense. If something doesn’t feel right, be careful. Be more critical sometimes and you will avoid future disappointments.